love the Savior Who comes to redeem them. Amen. 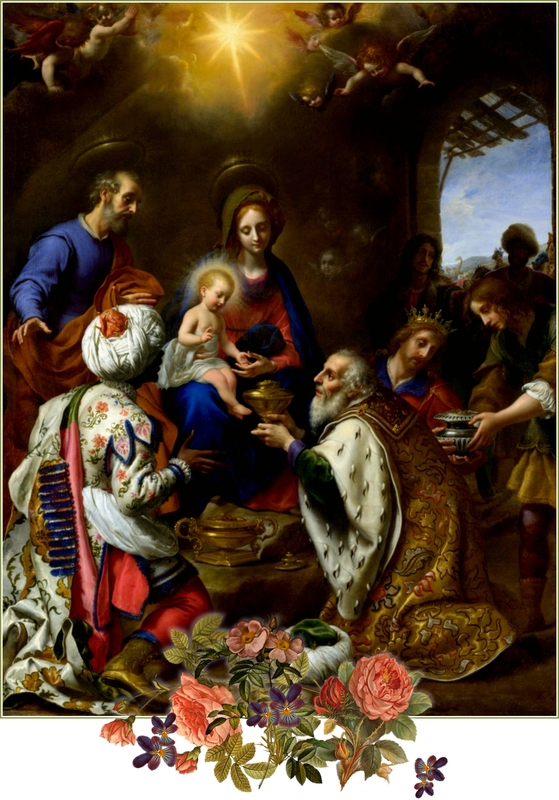 Today the King of Heaven deigned to be born to us of a Virgin, that He might restore lost man to the Heavenly kingdom. The host of Angels rejoices: for that Eternal Salvation hath appeared to the human race. Glory be to God in the highest; and on earth peace to men of good will! noise to Him with psalms. Christ is born unto us, come, let us adore! together with Saint Joseph, may come to meet us, and we may be worthily received by Thee into everlasting life.